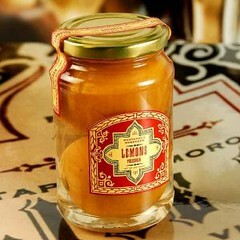 Be sure to check out the nice piece on preserved lemons at Serious Eats. There are so many great ways to use these, they are a wonderful addition to many summer dishes, grilled salmon or chicken, rice salads, various relishes and dips. Whether you buy yours or make your own (really easy), look around on the Internet, you will find many, many uses, such as the lemon dip demonstrated in the video on the Kitchen Daily website. You’ll also find recipes for a rack of lamb and a Niçoise salad that use preserved lemons there.